A portion of Evansville’s oldest high school can still be found standing downtown. 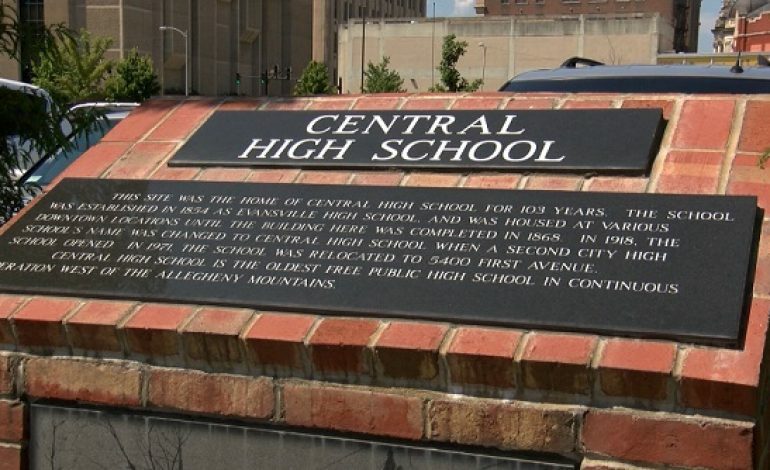 Due to redistricting and a population growth in the northern portion of Vanderburgh County, Central High School re-located to the north side First Avenue location where it still currently sits. The only remainder of the former school property is the gym itself, and the plaque featuring the iconic tower. Although the future of the former Central High School gymnasium is uncertain, the history it holds is not. From a construction shutdown to student led strikes, the aging downtown structure is the focus of this edition of Tri-State Treasures.